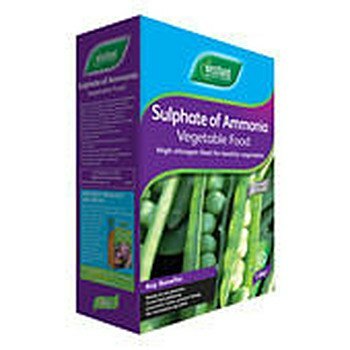 Sulphate of Ammonia has very high nitrogen content. This makes it ideal for encouraging strong leaf and stem development. Nitrogen also helps improve leaf colour, promotes lush, green, leafy vegetables and counteracts chlorosis (leaf yellowing).